RECESS Special Events: Painting / Trivia / Find Players / Run Games! Go beyond gaming & check out these Recess special events! - Learn How to Paint Miniatures & Keep what you Paint! - Signup required, cost $2 for awesome materials you keep! 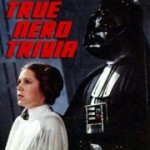 - True Nerd Trivia… win a freshly baked pie & more! - No signup required, just show up and play! - No signup required, just show up and level up! - How to Run Great Games at Conventions like Recess!